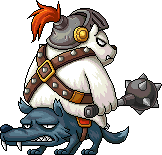 Bearwolf is a boss found in the Dead Mine dungeon at Lion King's Castle. 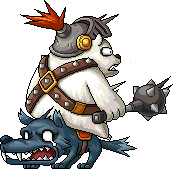 As its name suggests, it is a polar bear sitting on a wolf. This page was last edited on 25 May 2014, at 09:58.